Course objective: Hemodynamic monitoring can be challenging, even for experienced nurses. This course establishes foundational knowledge related to the anatomy, physiology, and clinical care of patients on hemodynamic monitoring. Terry M. Foster holds a Master’s Degree in Critical-Care and Trauma Nursing from the University of Cincinnati College of Nursing and Health, having previously earned his LPN and RN. 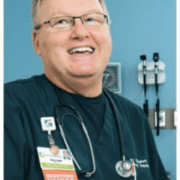 His primary areas of nursing experience have always been in the Emergency Department and Critical-Care Units, holding several national certificates. Terry has lectured on a wide variety of clinical topics at nursing seminars and conferences throughout the USA, having given a total of over 5,000 formal presentations. 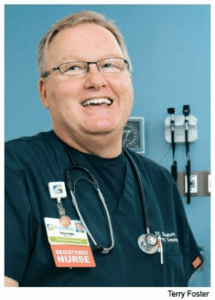 He has authored more than 40 professional publications and is currently the Critical-Care Clinical Nurse Specialist in the six Emergency Departments at St. Elizabeth Healthcare in Edgewood, Kentucky. Read more about Terry Foster. *This Program Has Been Approved by the American Association of Critical-Care Nurses (AACN) for 1.00 Synergy CERP Category A, File Number 21722. 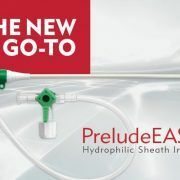 To accommodate varying patient anatomy, the PreludeEASE is available in multiple size configurations that range from 4F-7F diameters and can be customized in kits and packs to include other tools you need to achieve radial success. 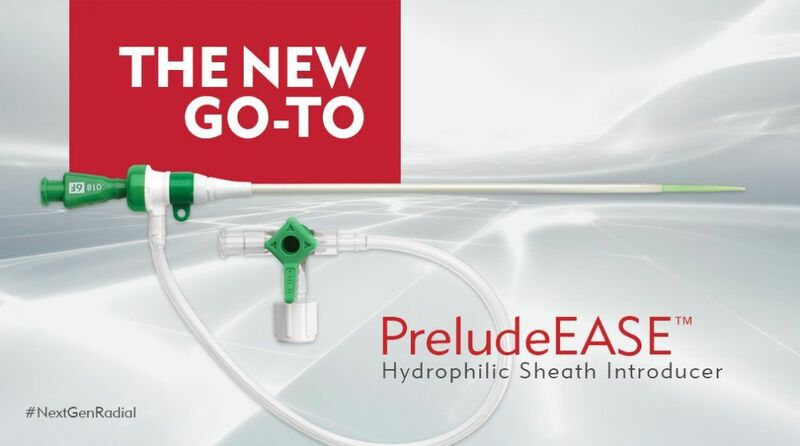 Explore the New Go-To PreludeEASE and all it has to offer by visiting the PreludeEASE product page or talk to a knowledgeable Merit representative today. Popma, J. (2013). Radial Artery Complication: Case Presentation. SCAI 2013. [PowerPoint slides]. Kiemeneij, F., Fraser, D., Slagboom, T., et al. (2003). Hydrophilic coating aids radial sheath withdrawal and reduces patient discomfort following transradial coronary intervention: a randomized double-blind comparison of coated and uncoated sheaths. Catheter Cardiovasc Interv, Jun; 59(2): 161-164. Thirty years ago, Merit Medical got its start by doing one simple thing: paying close attention to the clinical needs of physicians. At a time when glass syringes were the industry standard, Merit wanted to create something better. From this vision, the polycarbonate Coronary Control Syringe was born. It was the first of its kind and it was Merit’s first manufactured medical device on the market. 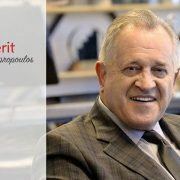 We sat down with Fred Lampropoulos, Chairman, CEO, and Founder of Merit Medical, to hear the full story of how this single innovation led to the rise of an international corporation that now employs almost 5,000 individuals and generates $750 million in global revenues. In order to understand the clinical needs of the cardiology world, Fred did what any eager anthropologist would do and went native. He began spending much of his time with thoracic surgeons and cardiologists, scrubbing in on cases and observing everything possible. He describes this point in his life as a time he learned most simply by watching. Doing so allowed him to anticipate the needs of physicians and flex his creative muscles. This led to Fred’s first prototype. As time went on, the art of observing and listening—that was once the foundation of a burgeoning business plan—turned into millions of dollars in sales and what sets Merit apart in the medical device industry today. One significant piece that Fred attributes much of his success to is that of teamwork. An avid baseball fan, he compares the well-oiled machine that is Merit Medical to a “team that can play all the positions and can deliver runs and hits.” Full of “very competent, hardworking people who share a vision,” Merit Medical has been able to expand internationally.